Minstrel Streams is the joint effort of husband and wife team Matt and Rebecca Stuart. Both began their music careers at a young age. Joining forces after meeting for a burger to discuss Rebecca’s composition, the two became irrevocably entwined as musicians and life partners, marrying six months later. Searching for the name of their band, a friend told them their combined sound was like two streams converging in a river and the result was Minstrel Streams. Now releasing their fourth album after being inspired by the legendary Will Ackerman, New Horizon is their finest work yet to date. 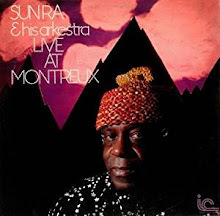 Filled with classical elements with delightful improvisation, this album hooked me from the very start. Guest artists on the album include Eugene Friesen (GRAMMY winning cellist); Jill Haley (English Horn); Paul Kochanski (string bass); Matt Heaton (Bodhran drum); Noah Wilding (vocals); and Tom Eaton (percussion and accordion). “Ancient Mariner” awakens the listener to the magic of New Horizon and the versatile talents of this amazing duo. Cello, piano, flute, bass and background vocals sing a siren’s song of the ocean’s vast and eternal beauty. Cascading piano movements carry the listener over the waves and into the open waters. Glimpses of a shimmering tail and a flash of red hair drift by as the ship crests a swell. A mermaid winks and you are captivated by the enchantment in a world that tempts you to dip your toes in the water and be free. “Golden Treasures” is a lively piece. Piano, flute, cello, bass, and percussion swirl together like the rich melty flavors of a salted caramel mocha. Smooth going down and just when you think you have discovered all the rich flavors, there is another one hiding in the middle. The flute flutters delicately to the top as the cello rises to greet the listener with deep resonating string movements. The streams cross together to create a perfect blend of sound. There just in the center of the piece you can hear a bit of acoustic guitar that sounds remarkably like a harpsichord, adding further texture to this already splendid track. “Celestial’s Rainbow” is a joyful song. Acoustic guitar, flute, accordion, bass, Bodhran drum, and percussion weave a piece that invokes a summer’s dance around the Maypole. Ribbons ride high on the wind as emotions run free. Breathe in the heady pulse of life and the heightened senses that come from blood pumping wild in your veins. Dance. Let you hair down and let the magic of the summer season take flight. See the twinkle in your lover’s eyes and smile. The steady percussion raises the beat and just there, the flute takes flight. Minstrel Streams is a duo that I now have on my must hear list. Classical movements whip and whirl with improvised compositions that took my mind to distant lands the moment the album began to play. The distinct element of water was throughout this album. Whether a ride with an ancient mariner or a treasure hunt, or even a voyage home, it all centered on the majesty and mystery within the waves. 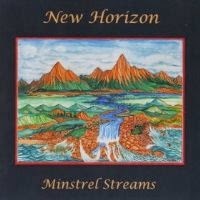 New Horizon is indeed a new step forward for Minstrel Streams and is an album destined for greatness from the onset. With guest musicians and the art and skill of Matt and Rebecca Stuart, this album was inspired and recorded in Will Ackerman’s Imaginary Road Studios in Vermont. New Horizon is a journey and one that I will be taking often. In a humorous moment my mind went back to a line in the movie Ghostbusters when one of the men is told not to cross the streams. Matt and Rebecca—you chose the road less traveled by and it did make the difference. I hope you will be crossing streams together for a very long time to come.